Hikvision is fighting back against the House Bill Ban of their products. Hikvision has hired one of the biggest lobbying firms, led by a 14 term ex-Congressman. Plus, Hikvision has started a media campaign to win sympathy against what it says is a 'red scare'. Inside this note, we review government records, examine the lobbyist firms strong track record of defending China and how Hikvision aims to bust the ban. Hikvision has hired Sidley Austin, one of the US' biggest law firms, with $2+ billion revenue, according to a US House lobbying registration disclosure. 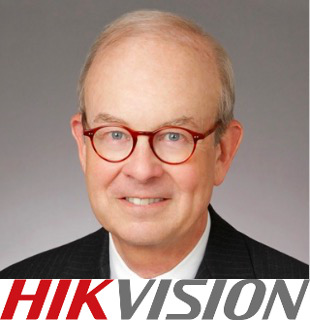 Leading Sidley Austin's lobbying for Hikvision is Rick Boucher, a former 14-term Democratic Congressman from Virginia. According to Roll Call, Boucher represented ZTE in 2012 during contentious Congressional hearings about it being a cybersecurity threat. According to the Washington Examiner, Rick Boucher was "seen making the rounds on Capitol Hill on behalf of Huawei" in 2012, but did not file a lobbying disclosure. He didn't respond to comments; a Sidley spokesman "refused to say" if they still lobbied for Huawei. Politico reported in 2012 that Boucher and Sidey were slammed by Republican Congressman Frank Wolf for lobbying for Huawei. Sidley has represented other prominent Chinese clients before, including Baidu in 2010 when the firm was accused of aiding music/film piracy, per The Hill. Sidley has a notable China presence. It has offices in Beijing and Shanghai. In 2015, China Daily reported that "Sidley has hired more than 130 lawyers that speak Mandarin or Cantonese in the last five years, and plans to add around 15 Mandarin/Cantonese-speaking lawyers in 2015." In 2017, Sidley said its "combined China team includes over 170 professionals who are experienced in a comprehensive range of transactional and regulatory matters." What Sidley has done and been able to accomplish is not known publicly as immediate disclosures are limited to hiring, not specific actions. However, certainly by nature of hiring lobbyists, and one with as much experience and relationships as Boucher, Hikvision will be able to make their case that they are being unfairly treated in the House Bill Ban. 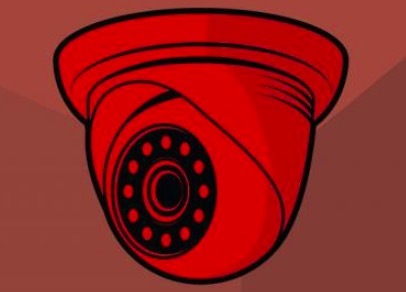 One visible product of Hikvision's fight is DC publication The Hill publishing a sympathetic Hikvision article titled "Lawmakers target Chinese security companies over spy fears". 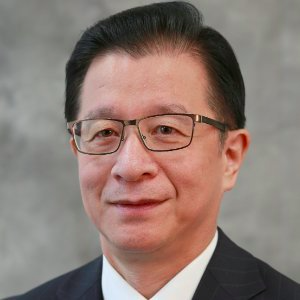 Whether this article was facilitated by Sidley or Hikvision's ex-Herbalife PR director, this is clearly a positive move for Hikvision, as it presents the US government as being unfair and overbearing, hurting US small businesses. Gut feelings aside, the more reasonable explanation is that the China Communist Party's track record of cyberattacks, repression and unfair trade practices are the real reasons. How much impact a single article makes is debatable, however, it is reasonable to expect Hikvision is working on a lot more with that one being the first of many. Unlike the WSJ reporting, which Hikvision has been highly critical of, The Hill post merits Hikvision's praise. Using the Hill article to help reassure their dealers is a good move. It is clearly sensible for them to spend this significant amount of money fighting back. The ban, even if it 'only' blocked Hikvision products from being sold to the US Federal government, a distinct minority of Hikvision's revenue, would have severe consequences to their brand and their ability to sell to many other customers, as buyers and specifiers fears about Hikvision increased. To that end, while costly, this is a reasonable move to help bust the ban. Even if the lobbyists can help stop it this summer, the problem for Hikvision is what happens this fall or next year or the year after? Until and unless Hikvision (and the China Communist Party) can turn the tide and get Americans to trust them, the underlying problem will continue to remain, if not grow.